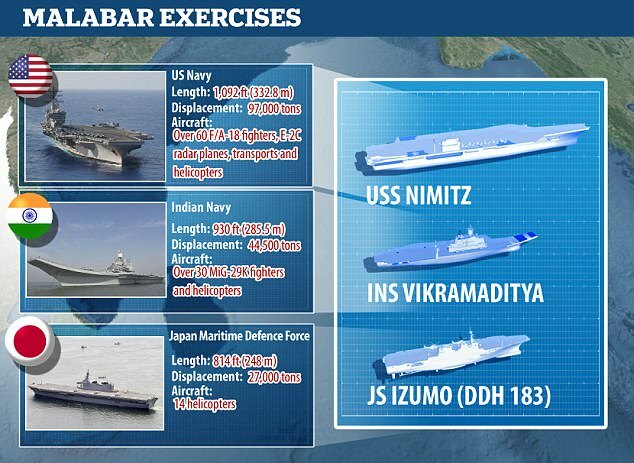 A US aircraft carrier group has begun a massive naval exercise with India and Japan which is seen to be a show of strength against the rising might of China. 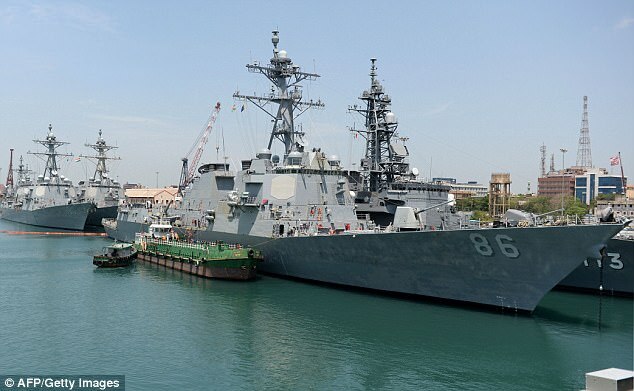 The US navy said the annual drills named Malabar, held off the Indian coast, would help the three countries tackle maritime threats in the Asia-Pacific region. They are the largest since India and the United States launched the exercise in 1992. Military officials say the drills involving America’s USS Nimitz, India’s Vikramaditya and Japan’s biggest warship, the helicopter carrier Izumo, are aimed at helping to maintain a balance of power with China.